Check out this video link to a segment on “Great Day St. Louis” that aired yesterday and featured one of our good friends Lacy Branch from Lacy Branch Events. Lacy designed the beautiful table scape in the video clip and she gives tips for choosing a theme and design for your wedding. Check it out! 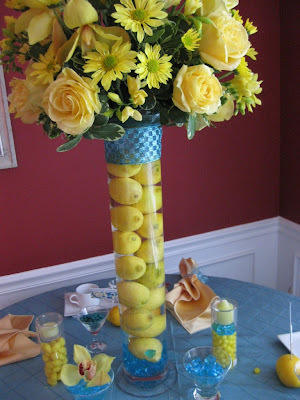 Also, we must mention that the flower arrangement on Lacy’s table was done by Sisters Flowers! Thanks, Lacy, for including us in your design! Here are some still shots of the table. 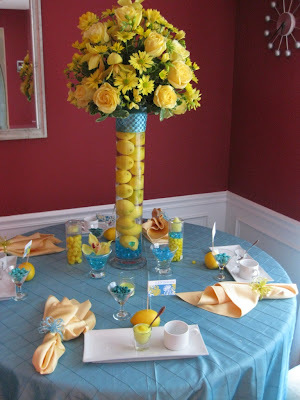 The gorgeous yellow flowers were skyline roses, cymbidium orchids, freesia, and daisies. Such a fresh, citrus-y look for summer! We LOVE it! !